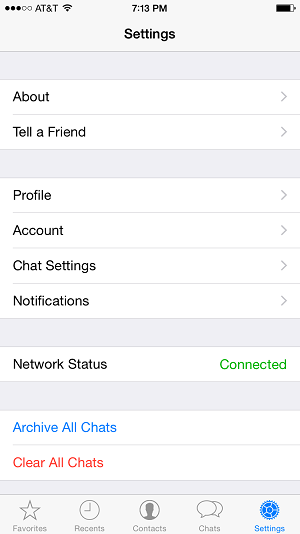 Open WhatsApp application on your iPhone and tap on 'Settings' icon at bottom of screen on menubar. This will open WhatsApp Settings screen. Under 'MESSAGE NOTIFICATIONS' set 'Alerts' to 'OFF' to disable alert notifications for individual messages that you receive. 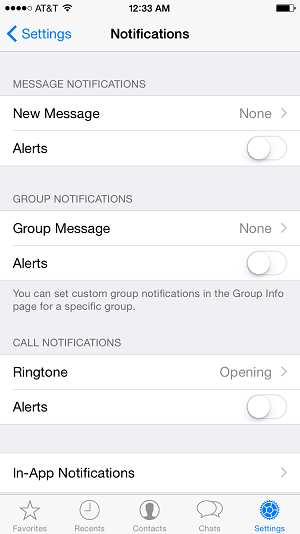 Under 'GROUP NOTIFICATIONS' set 'Alerts' to 'OFF' to disable alert notifications for all group messages that you receive. Under 'CALL NOTIFICATIONS'set 'Alerts' to 'OFF' to disable alert notifications for all WhatsApp voice calls that you receive. 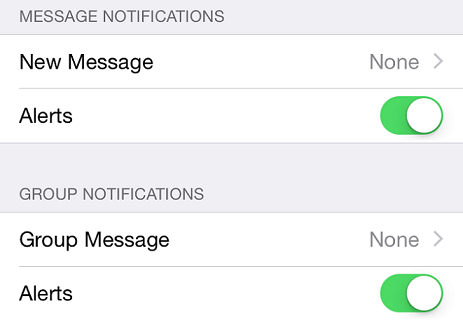 You can re-enable this settings back when needed by setting 'Alerts' to 'ON' in above notifications options.